There may be deviations from this route, but this is generally what I hope to accomplish over the next 90+ days. With that, it's time to pull chocks! Good luck. Looks like a great trip! Plus, I just need to go somewhere warm. Last week, we had -51 degrees Fahrenheit where I live in real life. 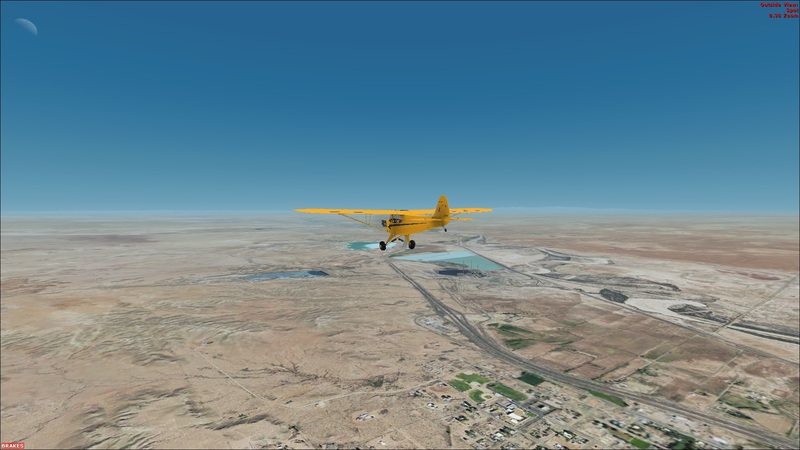 I need to see some sun, and I can’t fly my Piper Cub to Australia, so Arizona will have to do. The first leg of the Grand Tour will start at Cassa Grande Municipal, outside of Phoenix, and go to Sedona, Arizona. (See chart below). I’ve planned the trip to maximize the scenery. 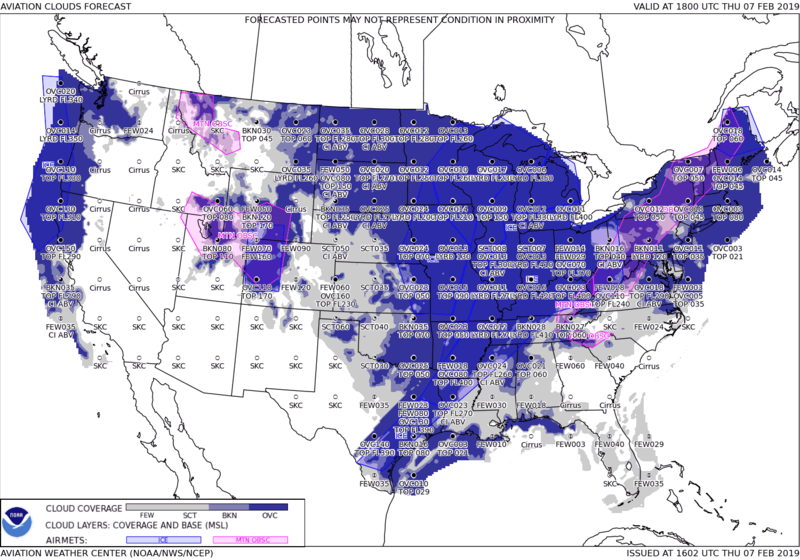 Because of this, I’m not taking the direct route (the purple line on the image below), thereby avoiding Phoenix. 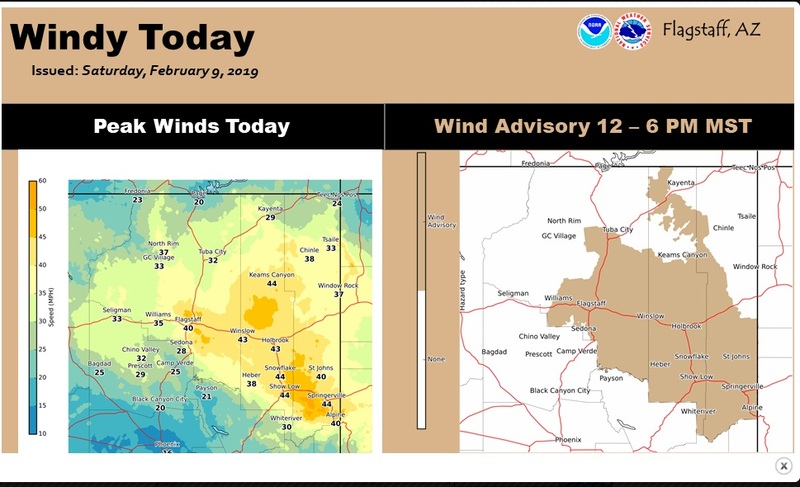 Instead, I’m circle around the east side of the Phoenix metro area until I intercept the Verde River, which I will follow north until I get to Rimrock airport. I’ll then fly north into Sedona. 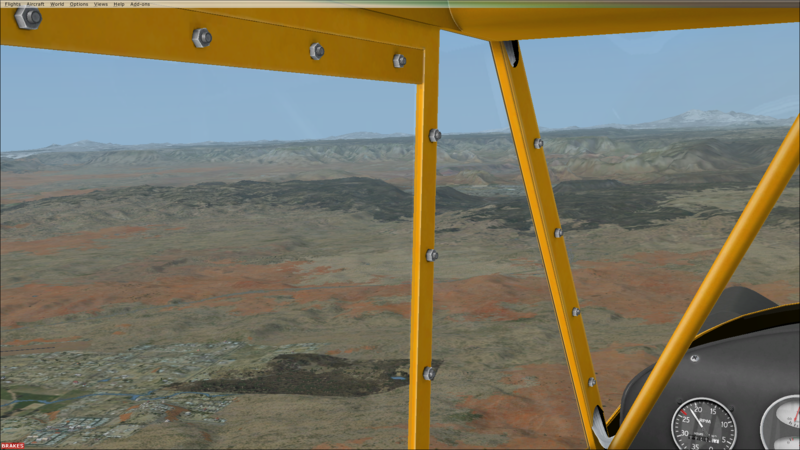 Because of some delays, my takeoff won’t be until 2130Z/1430L. Takeoff from KCGZ was at 2124Z. The weather was as predicted-little to no winds. Perfect weather for flying a Cub. The flight was uneventful, except I neglected to turn off my handheld radio to save power. By the time I got to Sedona, the battery was dead. This gave me the opportunity to practice my lost comms procedures to contact Sedona Tower get permission to land at Sedona. 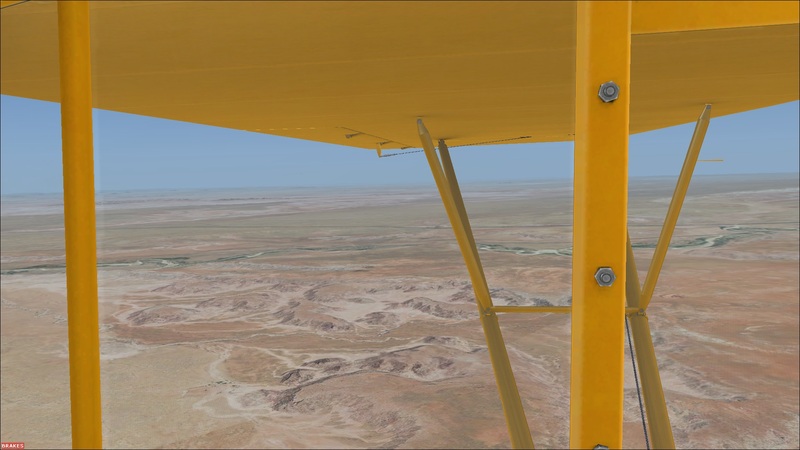 (For those who haven’t flown the A2A Piper Cub, it simulates the real Cub, which doesn’t have an electrical system. In the Cub, radio comms are done via handheld radios. 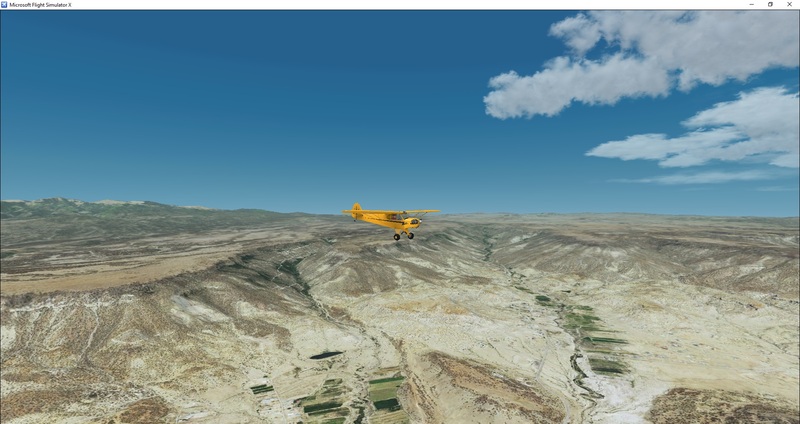 A2A simulated this by providing it's virtual Cub a handheld radio. However, it has a short battery life. When it dies, the virtual pilot can’t contact ATC). Image 1. 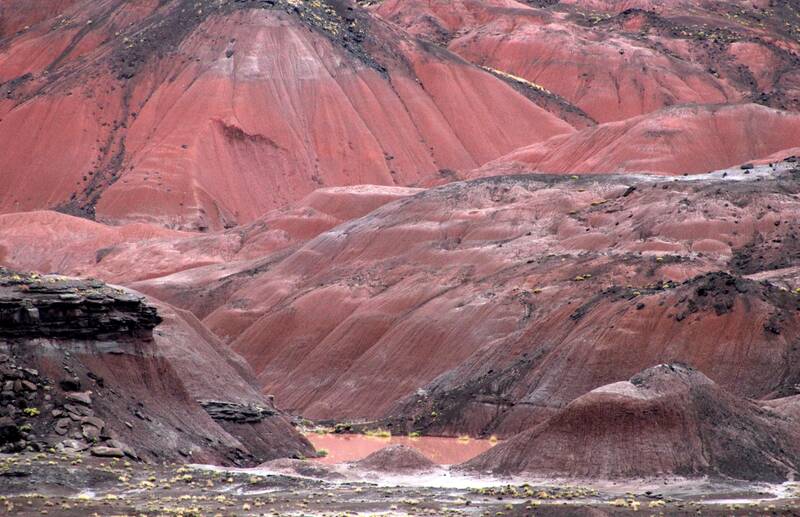 Crossing into the Superstition Wilderness Area. Apache Junction is to the WSW at the lower left of the image. 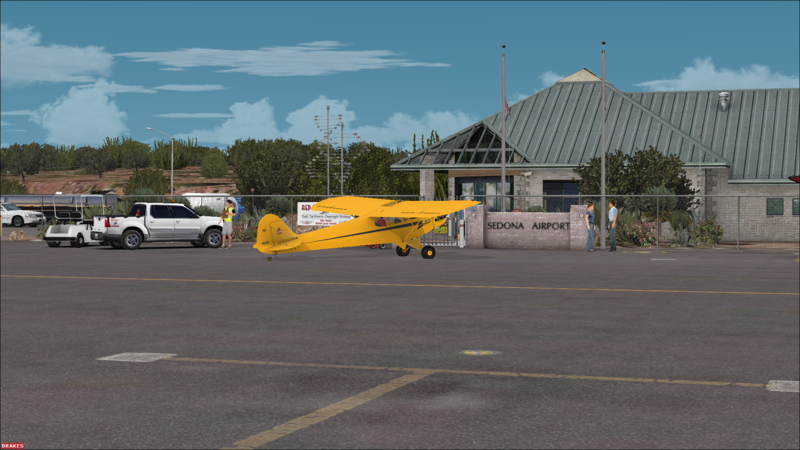 The second leg of the Grand Tour will take me from Sedona to Double Eagle, an airport outside of Albuquerque. Because it is a long flight, I will have to stop along the way to refuel. 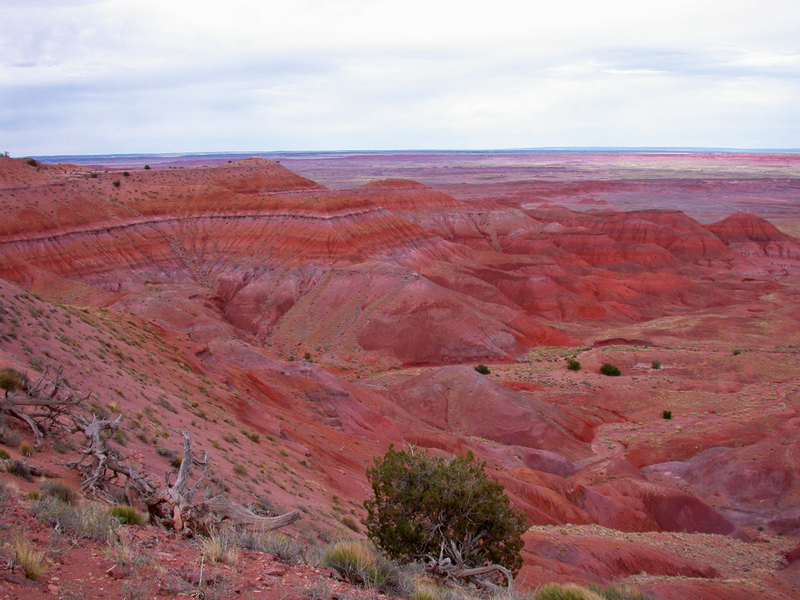 My planed track will take me to Winslow, AZ, and then generally follow I-40 to Albuquerque. 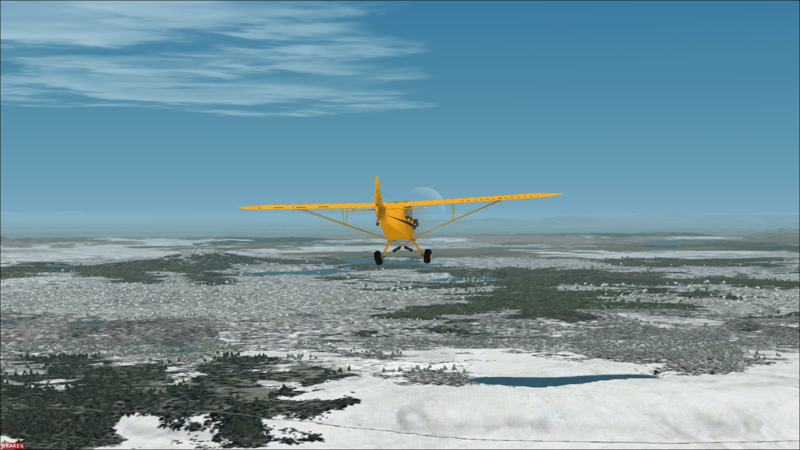 At 1435Z, when I began planning the flight the weather at my destination was good. However, delays prevented me from getting out of chocks until 1655Z. 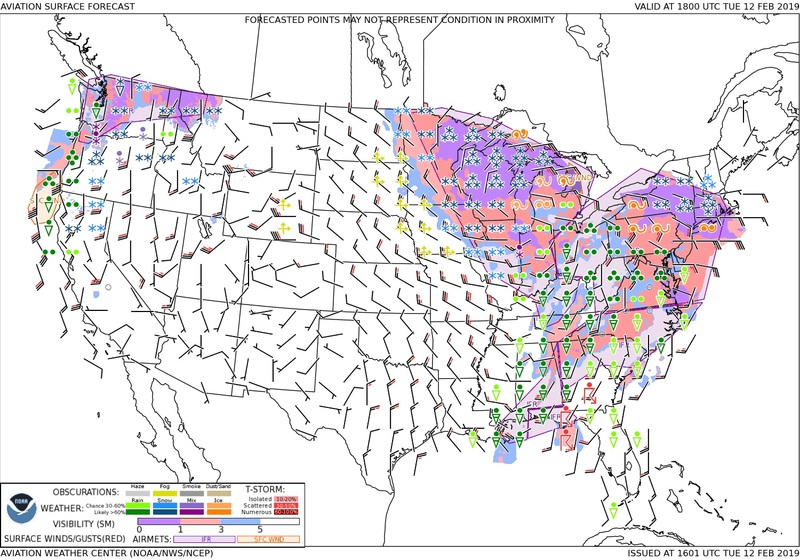 That doesn't give me much time to beat the winds, which are forecasted to begin around 1900Z. My personal minimums are winds and/or gusts of 25mph. Anything over that and landing and taxiing the Cub will be hazardous, so I will scrub if the winds get higher than that. An interesting leg. Where on the map is the crater? 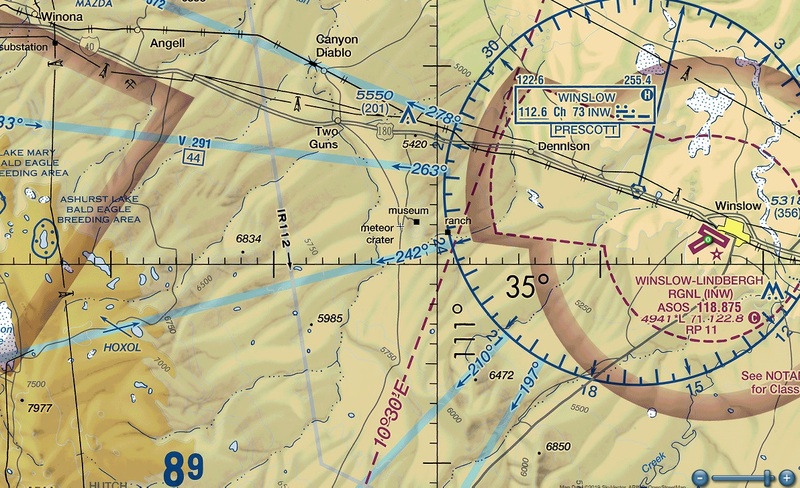 On the chart, it is where I made the dog leg out of Sedona, changing my course from 058 degrees magnetic to 083. 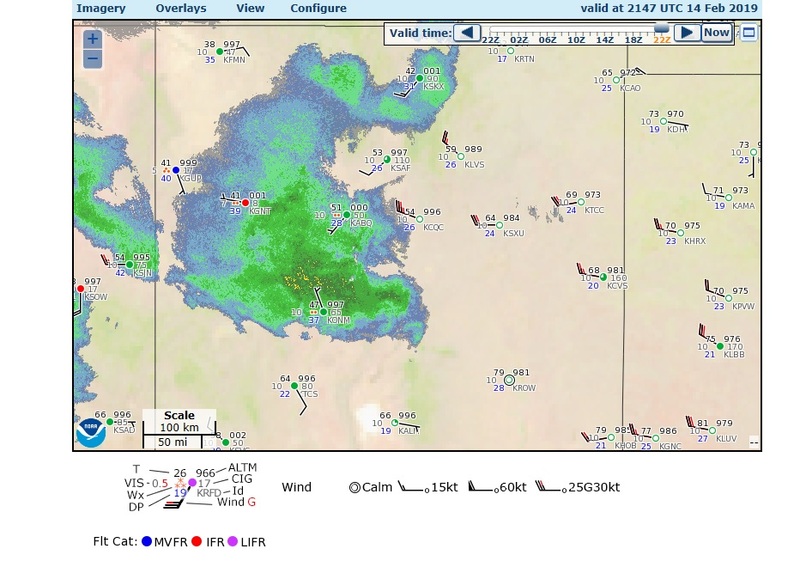 It's actually on the air charts as "Meteor Crater" (see attached in the center of the image, at approximately . 247 radial off the Winslow TACAN) The museum that is shown on the chart is the visitor center that is associated with the Barringer crater. 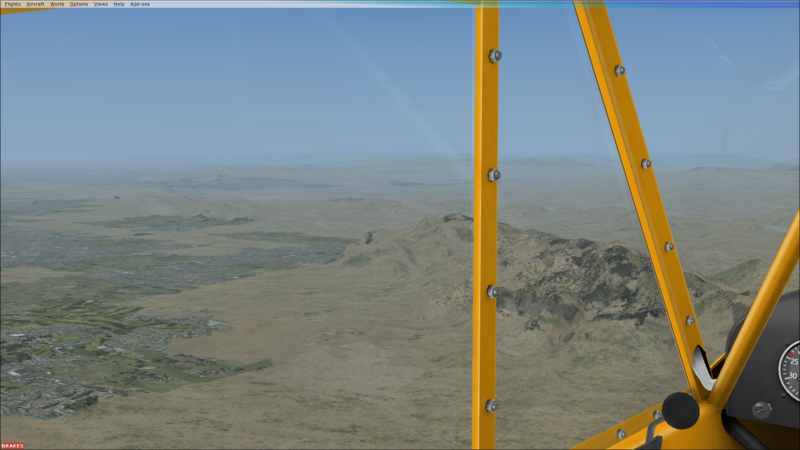 I may try overflying this using the MegaScenery Earth terrain installed, just to compare the rendition of the crater. 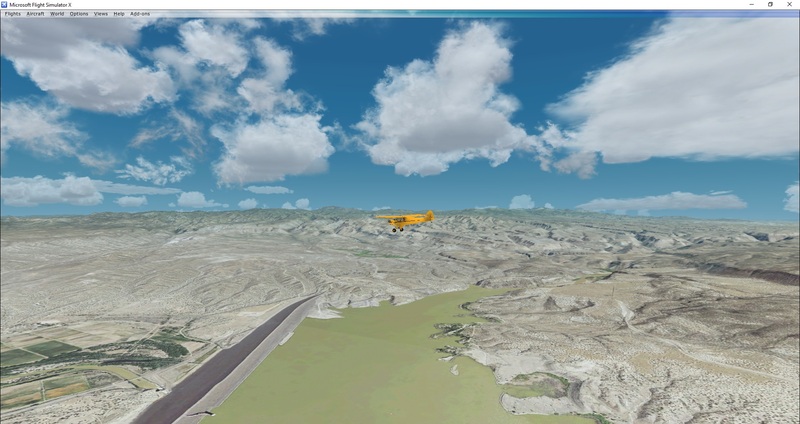 I have it, but didn't use it for this flight, as I had Orbx's Sedona scenery installed. After a two day delay in Winslow I'm off again to finish the second leg of the Grand Tour. 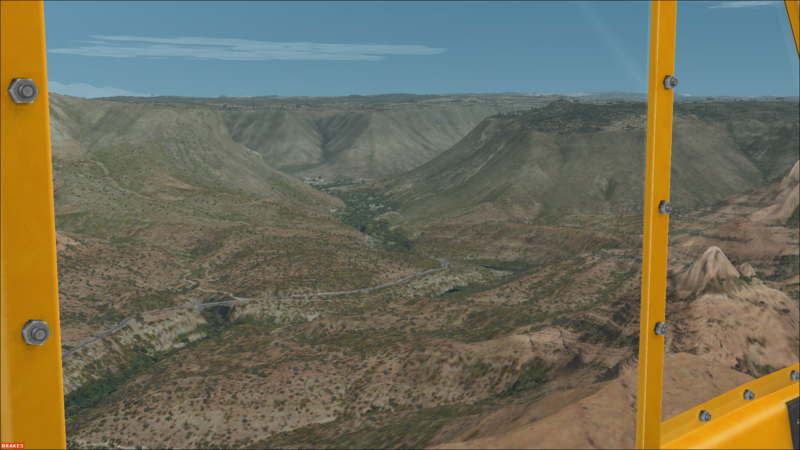 For this leg, I will be using Mega Scenery Earth Arizona V3 and New Mexico V3 to generate the terrain. My projected route is unchanged from the flight plan from 9 February, with the exception that I will be starting in Winslow, instead of Sedona. There are a lot of airports enroute, so I shouldn't have any problem in the event of an emergency. 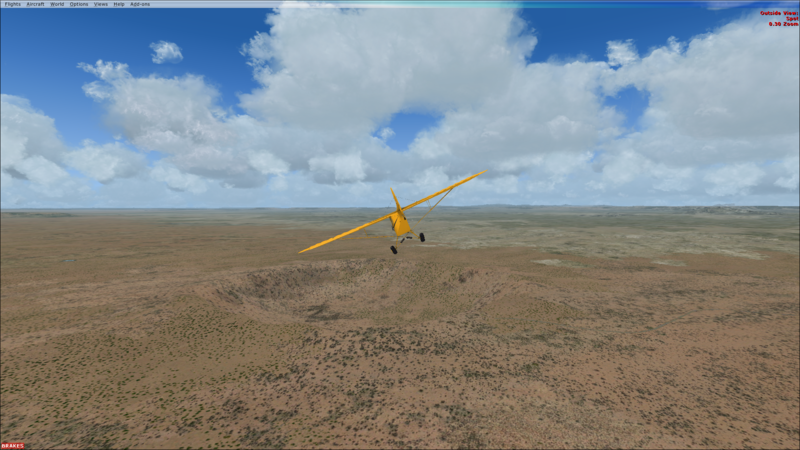 Approximately 100 miles into the flight I will stop at Otholf (KXNI) to top off on gas. Today is another outstanding day for flying a Cub. The entire leg is in a high pressure area, with a forecast of calm/low winds for the afternoon. Although lowering ceilings are expected in late afternoon, the route will remain VFR. potential at the end of the TAF cycle across eastern NM. 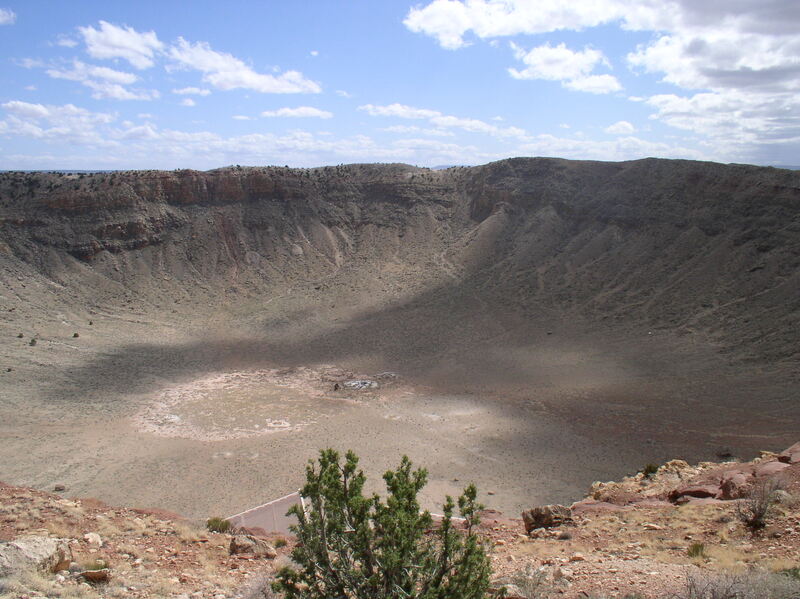 It's actually on the air charts as "Meteor Crater"
Jury1942-Nice photo! Thanks for sharing. what scenery program were you using to get those images? 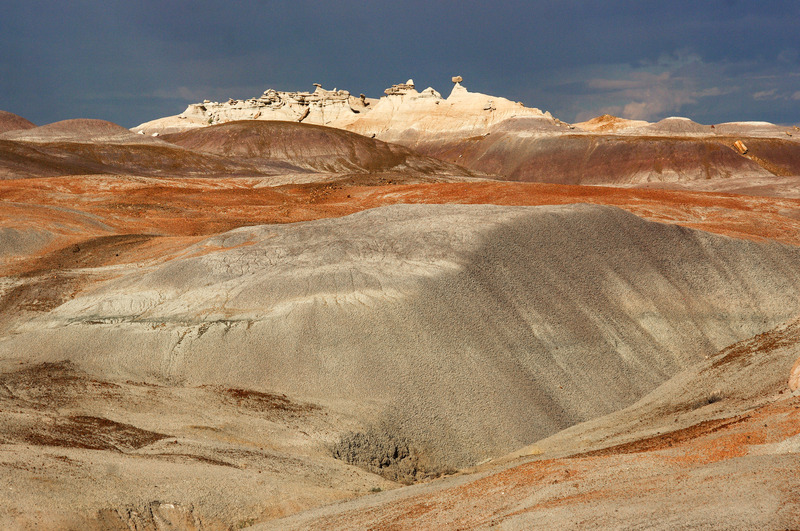 what scenery program were you using to get those images? Wow what amazing colours! I thought the large boulder on top of the peak in the first photo looked surreal! 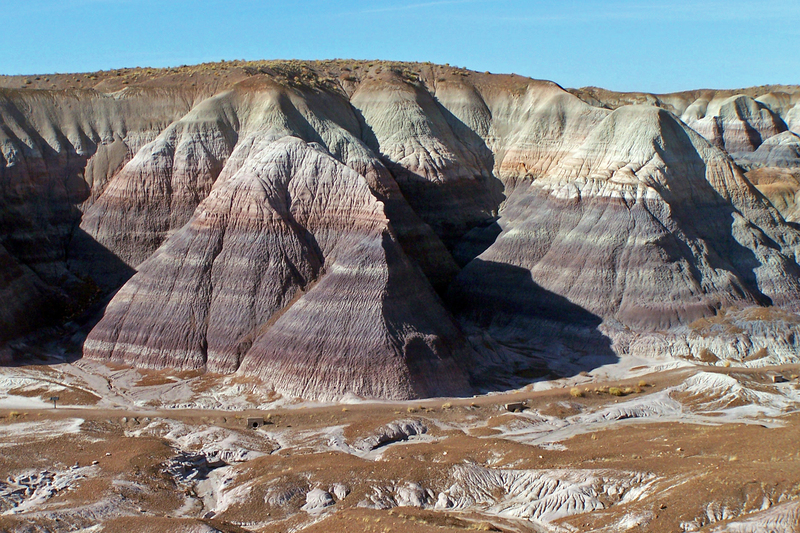 The western part of the US is really beautiful country, with some really interesting and unusual scenery. I'm trying to highlight some of this beauty during this transcontinental Cub flight. 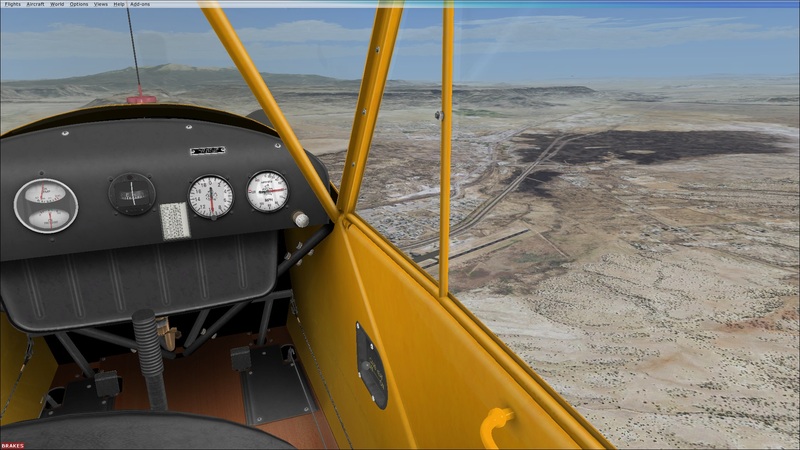 This flight is intended to see some scenic areas of the Albuquerque area, while still heading in a generally easterly direction. 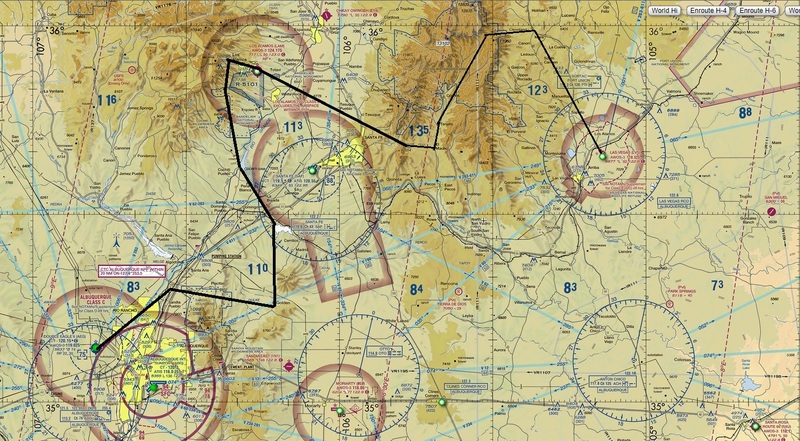 The first part of the trip will go from KAEG to Los Alamos (KLAM) via the Sandia mountains. 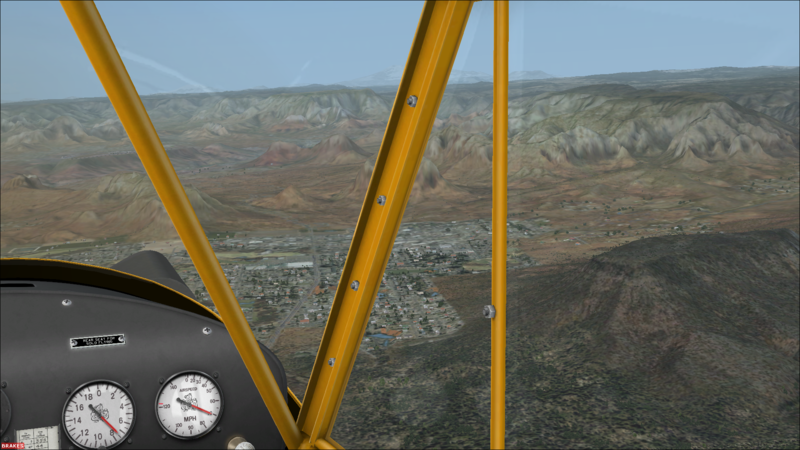 After topping off my gas at KLAM, the route will go to KLVS via the Pecos Wilderness area. 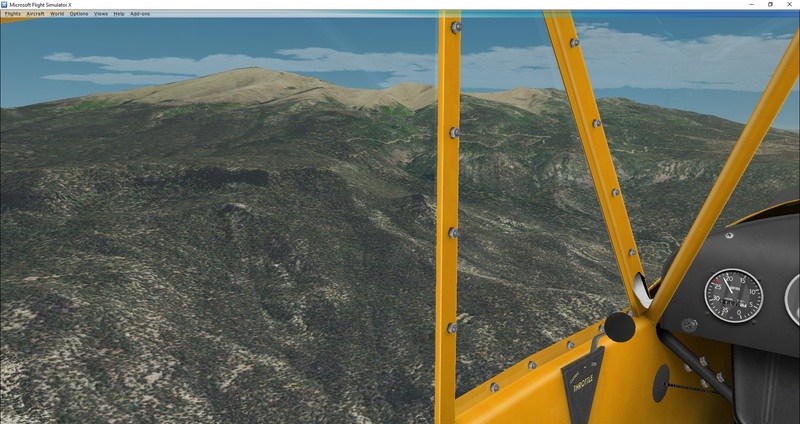 This is partially to challenge my minimal VFR and mountain flying skills. My intent is to fly north between the two main spurs of the mountains there. 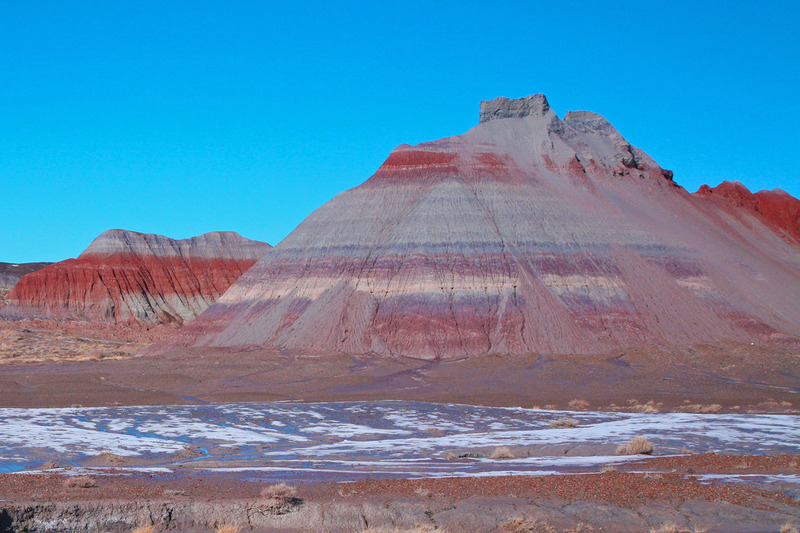 The charts show two peaks that are 12636 and 11960 feet high. 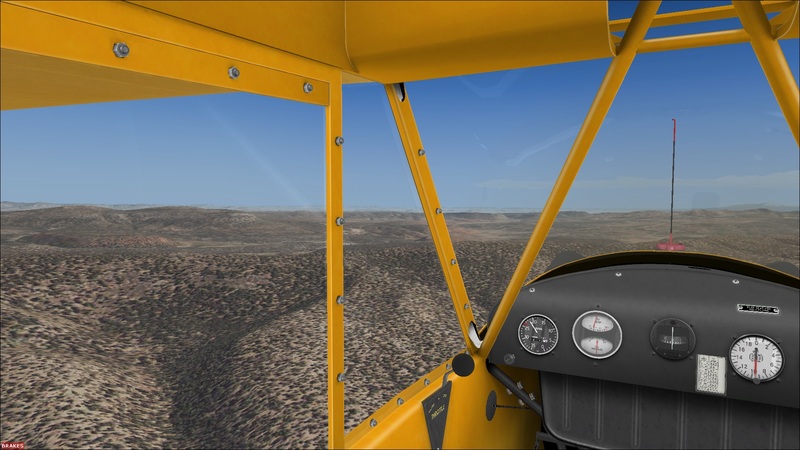 This is above the ceiling for the cub, but there is a pass between them just west of the town of Cleveland, NM that I should be able to fly through. 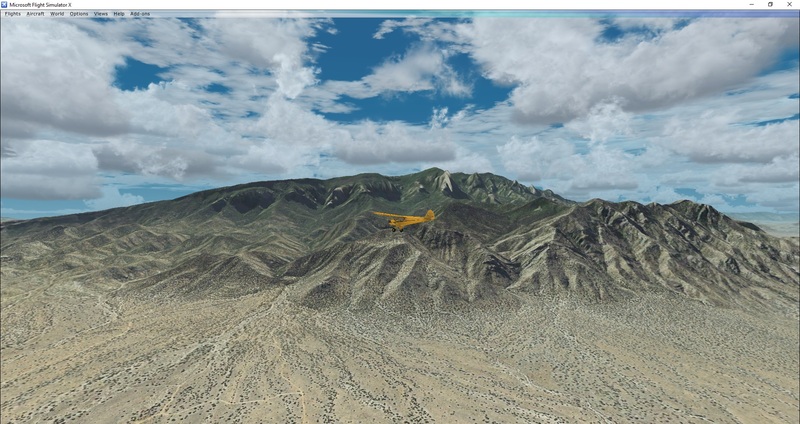 METAR: KABQ 151652Z 36009KT 10SM FEW040 BKN200 BKN270 11/01 A3000 RMK AO2 SLP131 MTN TOPS OBSC SE T01060011.